Downhill run. 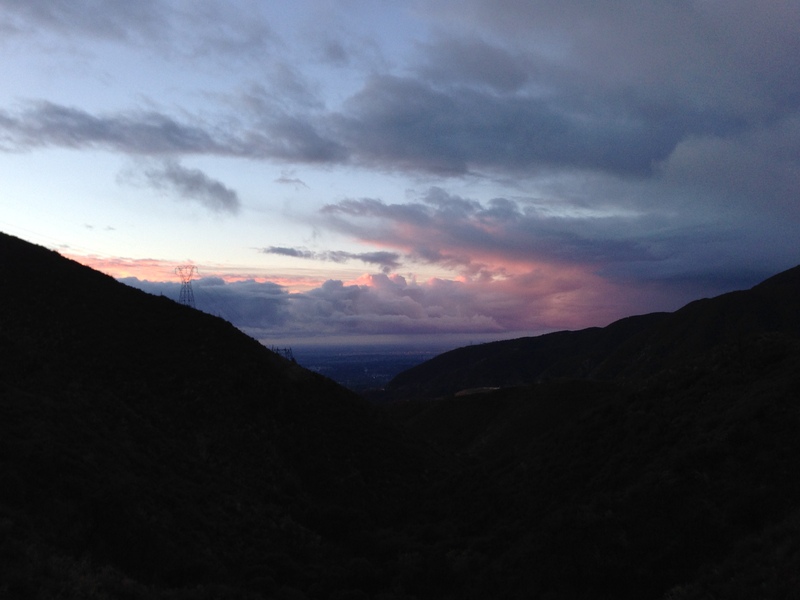 Clear Creek to La Canada. 9.4 miles, 1:26:01 moving time. 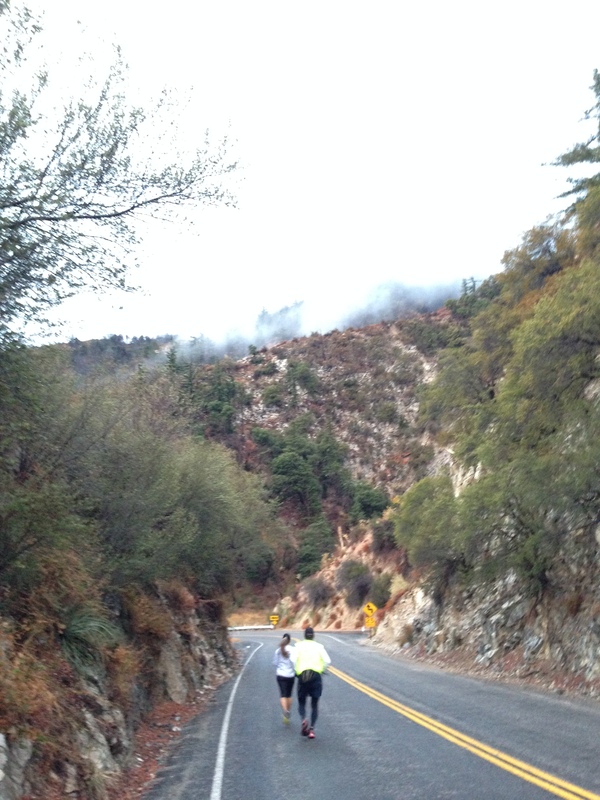 We were preparing for a downhill half marathon coming up in a couple weeks, Revel Azusa Canyon Run. 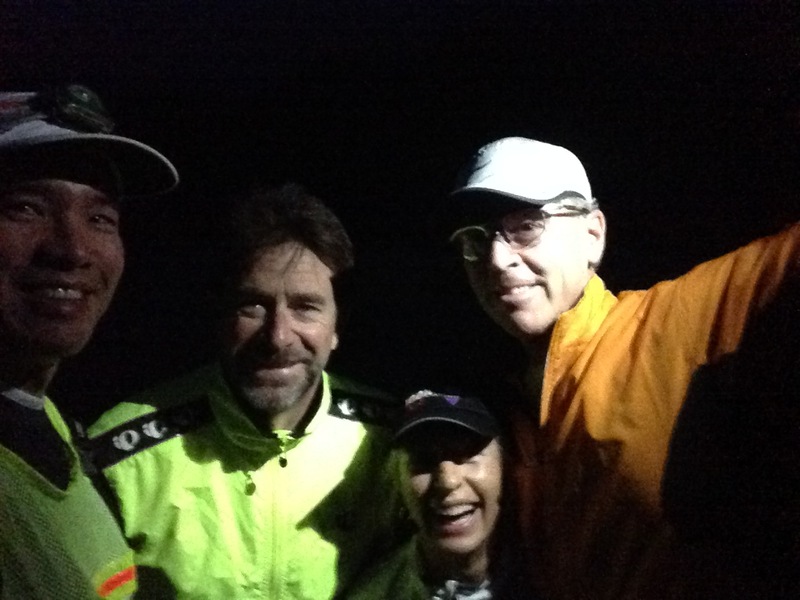 Today I ran with Lynda, Gregg, and Steve. 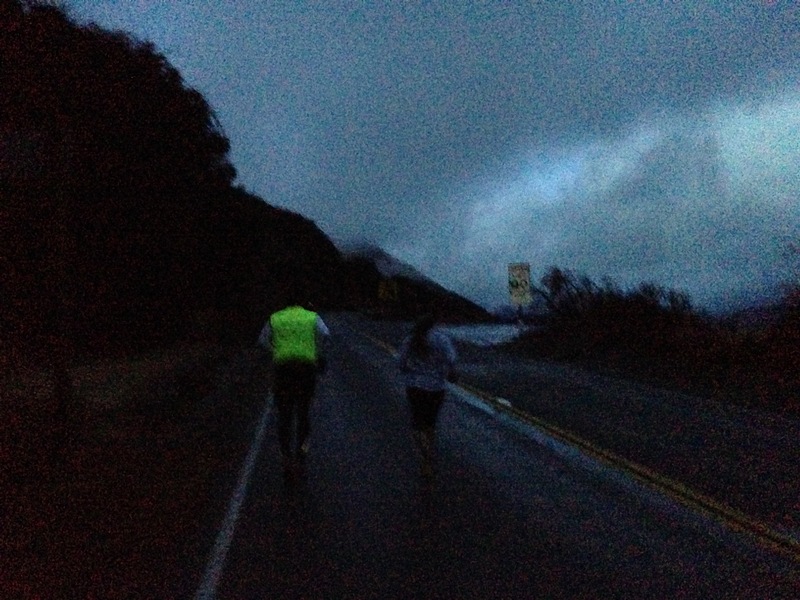 We drove one car up to Clear Creek and then ran down 9 miles to La Canada. 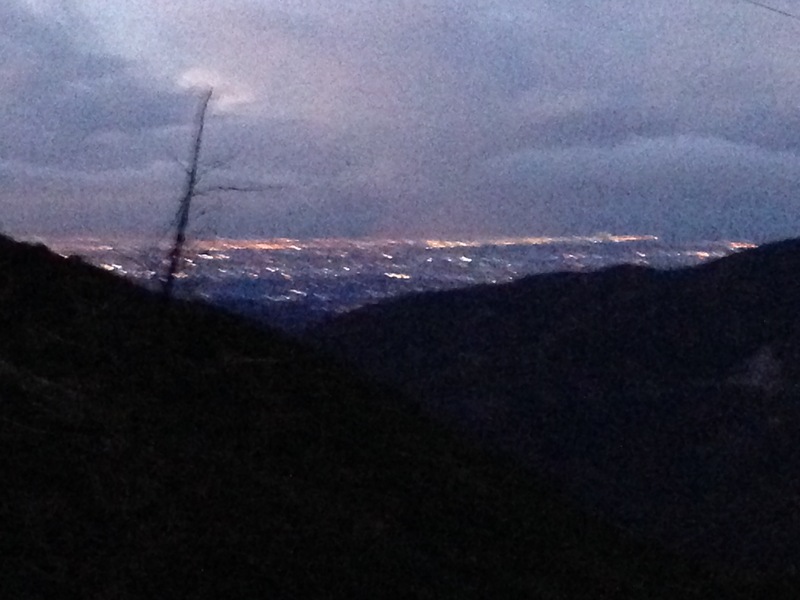 The run started in a dark and cloudy morning with the city light well below us. 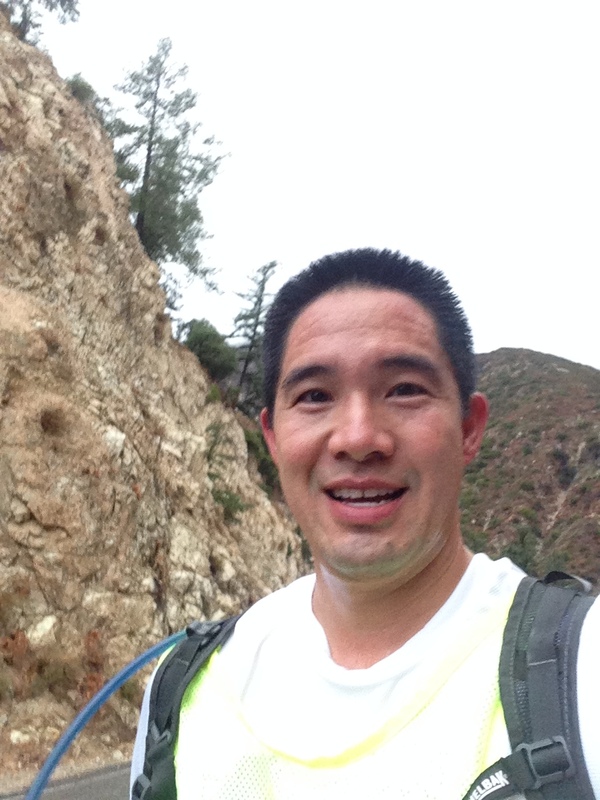 Short uphill from the parking lot at Switzer Campsite up to Clear Creek. I forgot to turn on my Garmin until we hit Clear Creek, about 0.5 miles (doah!) I was trotting behind Steve and didn’t see a rock and kicked it pretty hard with my left big toe. Ow! Then, it brightened up with the sunrise against the clouds. I warmed up and took off a layer. I was trotting behind Steve and Lynda again. The road got narrow and a truck was coming by. We slowed a bit and I was right behind Steve. I didn’t see the gravel and rolled my right ankle. It was okay. I walked it off. 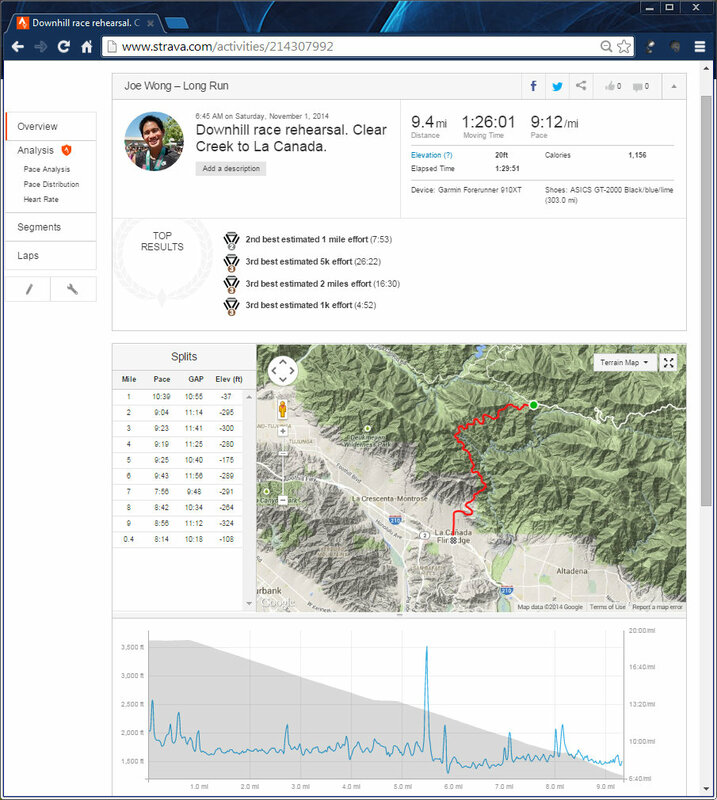 You can see from the Strava data the descent is super uniform about 6%. 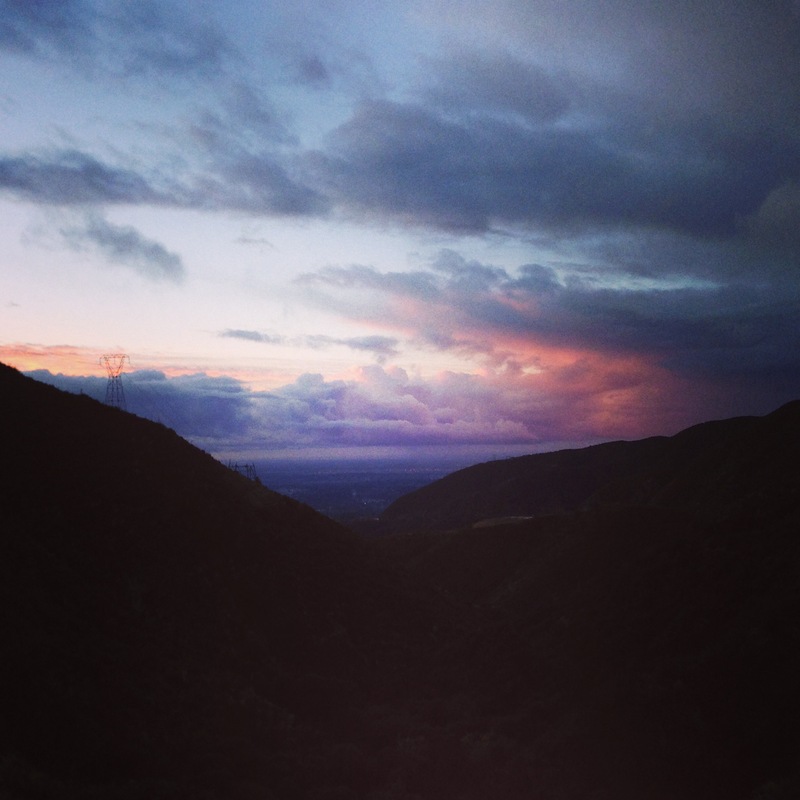 I focused on keeping my chest high and feet behind me, letting the descent carry me. As we started again, it started drizzling, then it flat out rained and the wind picked up. I put my base layer back on. I was cold. Then, I took off top speed to get out of the rain. Back in town, it was sunny and warm. Great run. Lynda sped home to sign up for Vineman which sells out in minutes.